First part of Seanario for Battle of Kyzikos. Hotz Ships. Going down ? I was wandering around the web and noticed I could not find any games played with ships or rules in the last few years ! The only games I could find played were small forces of Roman ships against pirates. But I can also now find 10mm ships available in lead and resin. Has anyone, anywhere, played a game with the larger Hellenistic style Hotz ships ? Does anyone anywhere still use Hotz ships regularly, or even occasionally? If not it is a shame but the silence seems to point that way. 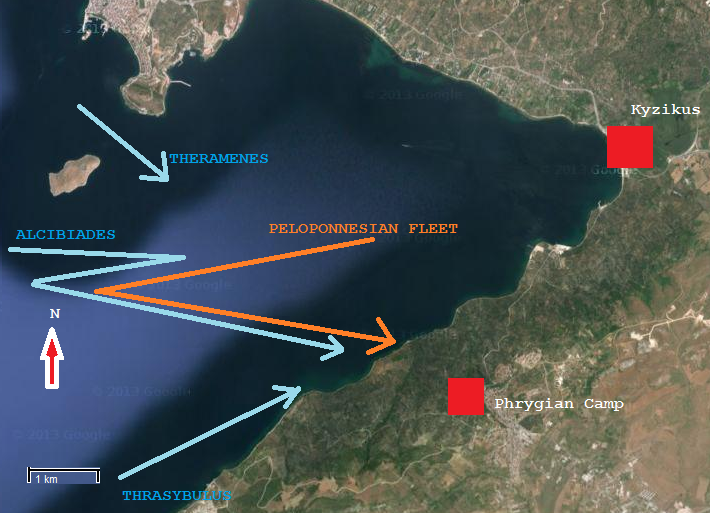 Anyway, I am hacking out more ships to play my Cynossema seanario, and have nearly finished a draft of the next Peleponnesian War battle(s).